Within six months of the Benami Property Act coming into force, the Income Tax department of the Kolkata circle has made a list of 300 such properties belonging to several politicians. Sources in the department told ET that confiscation of the properties in the city, and prosecution of the owners are likely. They further said that the Income-Tax department would prepare another list of Benami properties belonging to politicians, especially those from the districts across West Bengal. Raids are expected once the ongoing investigation ends, said a highly ranked official. 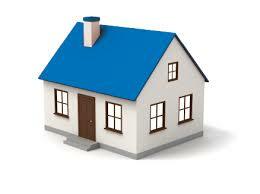 “A special team from the Income Tax department is working on Benami properties. We have already stumbled upon cases where senior politicians have bought properties in the names of their associates. Out of 300 properties identified in the city, many are in south Kolkata,” the official told ET. The department has formed a special unit called Benami Properties Unit (BPU) to identify and probe such assets. Apart from politicians, there are hundreds of such properties belonging to some top businessmen in the city, he added. According to the Act, government agencies can confiscate the properties and prosecute the Benamidaar (the person in whose name the property has been purchased).